Years ago (but not THAT many ;)), my Mom was working on her Master's at New Orleans Baptist Theological Seminary & she took a Missions class. This class did mission work at the Maritime Center & that's where my Mom met my Filipino Dad who was an engineer on a cruise ship. They fell in love & eloped. Sometime before I was born, they moved to Shreveport. I was in church probably before the doctor said it was ok to let me go. My family was always active churchgoers, so it didn't surprise anyone when the Holy Spirit started drawing me at the age of seven. I was young & curious & full of questions about salvation & God sacrificing His Son Jesus. I'm sure I drove my Mom crazy with questions! At the super exciting age of seven I was also very into: my beautiful pink glasses (ask D how beautiful they were...& no, I couldn't see into the future! 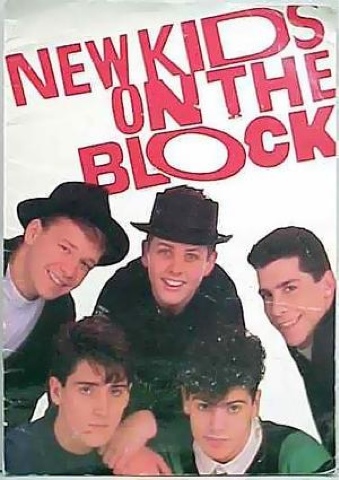 ), my newly pierced ears, jellies of every color (the shoes), side ponytails, my awesome jeans that zipped at the ankle, wearing my socks rolled down, but nothing was as wonderful as the New Kids on the Block & Jordan Knight! :) That year, they had a concert at Hirsch Coliseum & the Best Mom Ever got me tickets to see NKOTB...my very first concert!! As soon as we got to the nanny's house to pick up Brother, I couldn't wait to tell her that I asked Jesus into my heart! I've kind of been that way ever since. I love to share & tell others all about what the Lord has done, shown me, or taught me in my life!